Social media is one of the best powerful tool which helps to communicate with peers, promote brand and expand businesses. The startups to fortune 100 businesses are active in making their presence over the social media in the recent years. Evidently, the social engine platform is helping the organizations in building their own social platform in order to engage with their audience and employees. However, the companies presenting themselves externally to the audience must engage the appropriate and authorized persons to initiate, communicate, or post details on the social space. There are benefits and risks as well while working with the social space for an organization. 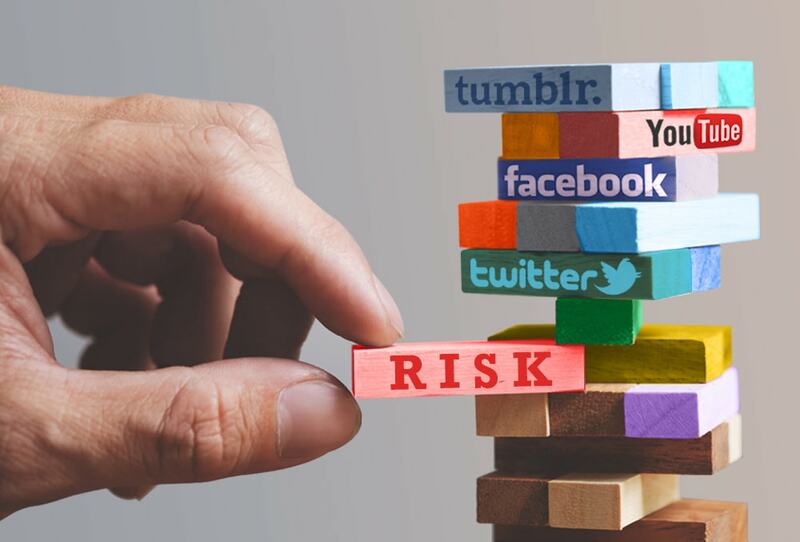 Let us investigate a few of the risks involved while going social. When Social Engine platform’s SEO is maintained and updated on regular basis, it helps to develop and brand the concerned product or the services. It helps to keep the pulse of the organization through analysis of the reputation and metrics. Yet, it’s a well-known fact that at the same time, the reputational crisis would cut down million dollars of income. Moreover, the cybersecurity threat results in major data breaches, fraud, counterfeit sales, and other compliance issues. The attackers are able to gather the data of the employees and also their accounts. In brief, the major areas to be focused for risk mitigation involve privacy, content ownership, Intellectual property infringement, and prevention of unauthorized activities. Though the marketing intelligence could be explored and reflected better with the social engine marketing services, the efforts are competitive. A real-time monitoring and response is the need of the hour to manage the social audience. Therefore, the risk associated over the reward cannot be calculated leaving a few of the industries to quit the decision of entry into the social media. As a fact, there is no prescribed rule book for doing so as the impact of the social media is different within the organization as per the department’s demand leaving behind the audience. The IT, human resource, marketing, finance, and so forth has an entirely different perspective for social media utilization on behalf of the organization. At this juncture, let us see the possibilities of mitigating the risks posed on the organizations to play successfully in the realm of social space to contribute for the revenue of the firm. A few of the guidelines are mentioned below. The first step is to define the purpose of the organization regarding the social media activity. The guidelines for ownership and contributors for the social sites must be directed based on principles of the organization. The departments assessing the social media solutions outside the company must be demonstrated the degree of utilization and its security. The awareness must be given for the onboarding employees especially in marketing through social engine platform, HR, or the IT for social media etiquette. Real-time monitoring and response of the brand, products and services of the firm is essential to manage the social audience for an increased ROI. Though this calls for a considerable amount of time, collaboration and communication across the key departments, a well-planned and defined policy is a must and is the way for enterprise-level social media risk mitigation.